$Signed a four-year, $11.17 million contract with the Panthers in June of 2018. 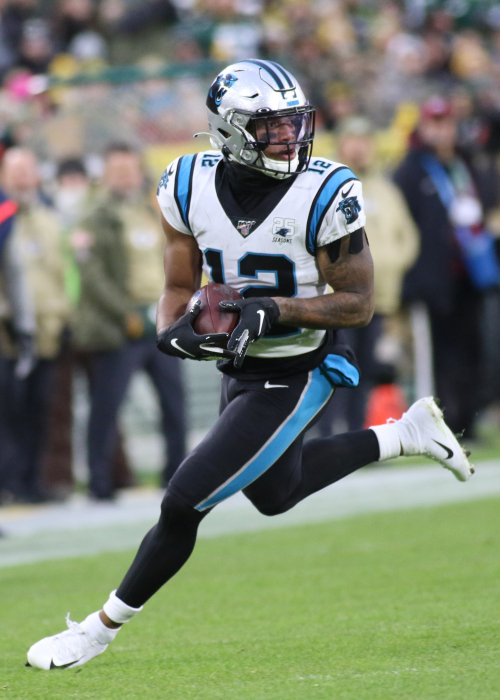 After a few slow weeks, Moore showed off his big-play potential Sunday, skying over Marshon Lattimore in the second quarter to haul in a 38-yard pass, setting up another Carolina touchdown. Moore started and ended the season slow, but the latter can be attributed, at least in part, to Cam Newton's sore shoulder and the revolving door at quarterback that followed. So long as Newton is healthy in 2019, Moore can build on flashes of rookie brilliance during a potentially profitable follow-up. How do D.J. Moore's 2018 advanced stats compare to other wide receivers? See where D.J. Moore lined up on the field and how he performed at each spot. How do D.J. Moore's measurables compare to other wide receivers?